Whenever I look at images of Eve, or show someone images of Eve, I remind myself/them that each of those ships represents a player. It is not a game where you make a fleet and order it around (outside of the fleet commander) and the ships are your legions. Each is piloted by someone. Sure, sometimes people are running multiple accounts but when you get into big things like that, its a lot of people working on one goal. That's some of the draw of an MMO. I rant often about my hobby and its lack of acceptance. It reminds me of when I was a teenager and my mother told me the people on the internet were not real. Anyway, this was a combined ops with several cops. I think the goal was to shoot a POS (Player Owned Structure) and then hop in and battle it out once they came to protect it. After a lot of waiting around, that didn't come to pass. however, I took a pictures of everyone waiting because that's what I do. I asked to join in when I logged in. I heard that they needed some fast tackle and that is something I can handle as a newbie. I'm not super fast but in a fast ship with a MWD (micro warp drive) I can hop across space at a good clip and chase people down. My next job is to hold them in place with disruptors and webs to hold and slow them and not pop before someone comes to make them go pop. It's a good job for me. So I join this fleet of freaking battleships. They are all enormous, all powered up all to hell, and I'm chilling about, all super noob. 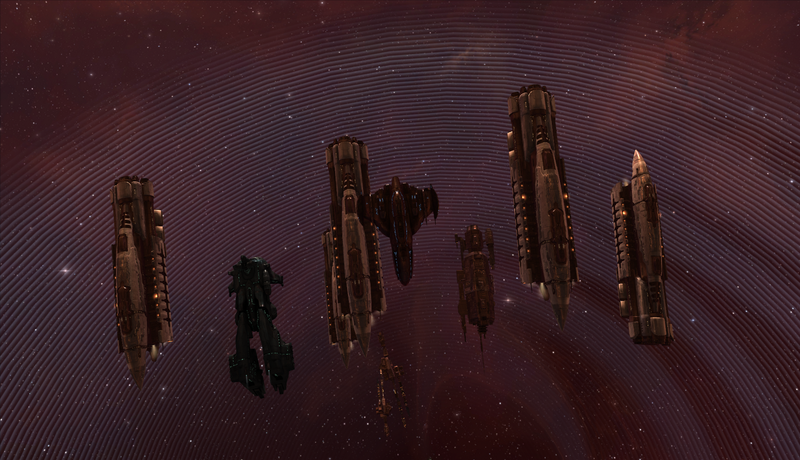 Anyway, the primary goal didn't happen so we just started a roam with many, many, many ships. It was a ridiculousness amount of people. People scattered and ran away as we moved through. 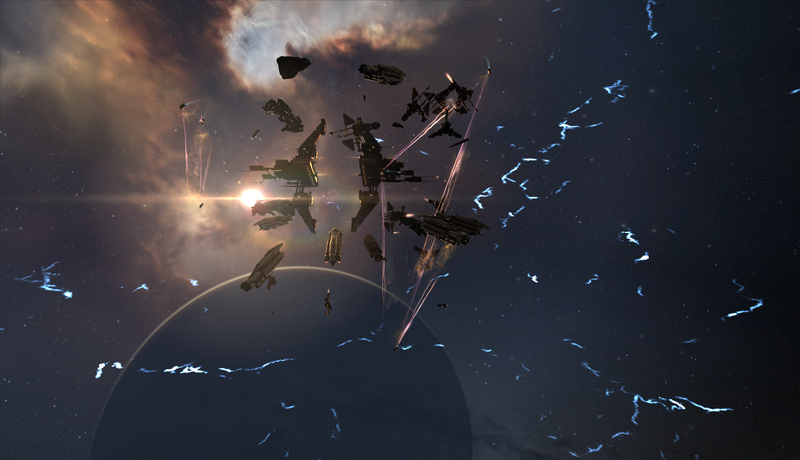 The funny part is that the entire fleet was composed of low sec pirates. The chances of some very confused people wandering around wondering WTF the pirates were doing banded together and roaming null in an enormous blob/fleet/gang. A few things died. They tended to just vaporize in a moment so perhaps, I understand why people ran. I learned more about NULL and warp bubbles. I think someone shot at me at some point but really I don't know because they blew him up so quickly. I have a lot of thoughts and questions from the last two roams I have done. I'm just to tired to list them out.